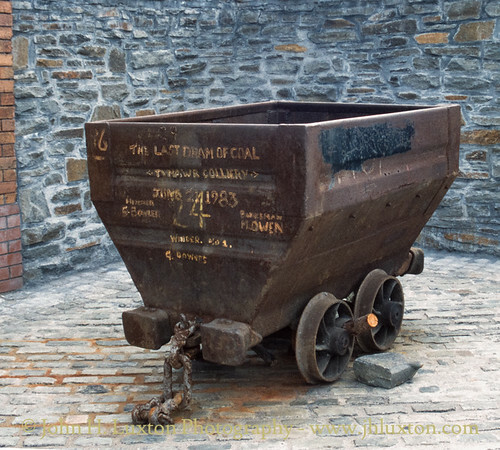 In the mid-1870s William Thomas Lewis (later Lord Merthyr) purchased and reopened two existing pits, mining the upper bituminous (household) coal seams. 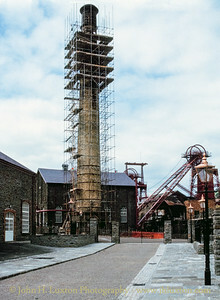 By 1880 WT Lewis had sunk the Bertie shaft, and in 1890 the Trefor shaft (both named after his sons), by which time the company had become known as the Lewis Merthyr Consolidated Collieries Ltd, employing some 5,000 men and producing almost a million tons of coal annually. 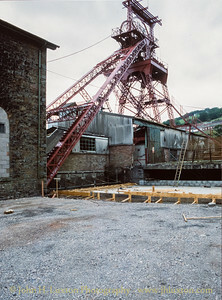 The two headframes and associated colliery buildings are now Grade II* listed buildings. 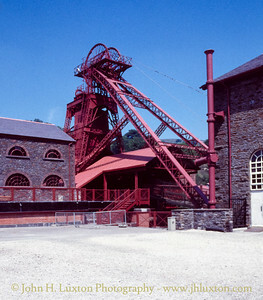 In 1929 the colliery became part of the Powell Dyffryn Group. 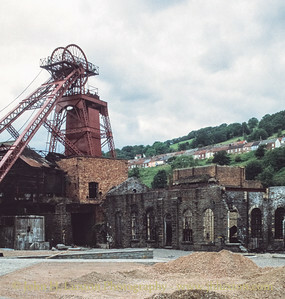 The colliery was nationalised in 1947. 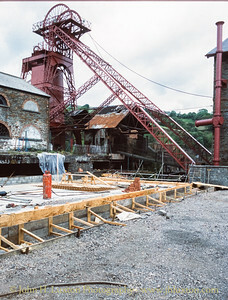 In 1958 Lewis Merthyr Colliery and the neighbouring Ty Mawr Colliery merged and all coal winding ceased at Lewis Merthyr, with coaling continuing via Ty Mawr and men and supplies only at Lewis Merthyr. 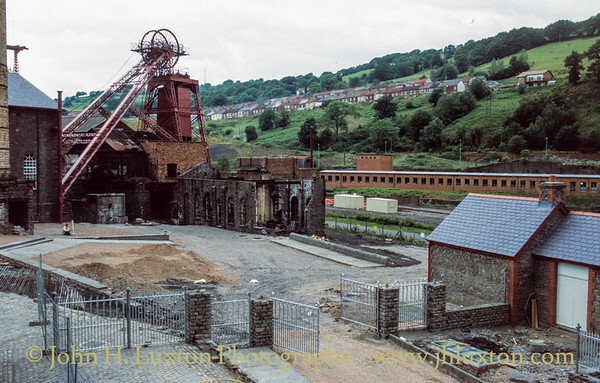 By 1969 the Colliery had become the Ty Mawr - Lewis Merthyr Colliery. 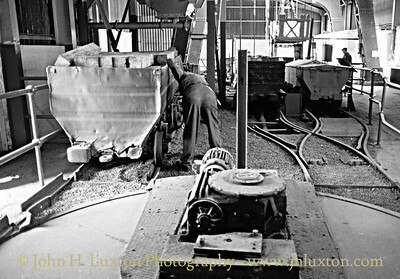 Coal production at Ty Mawr - Lewis Merthyr production came to an end in 1983. 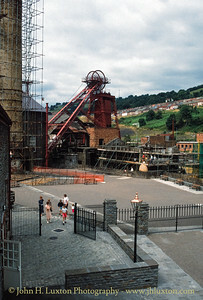 A few years later the complex of buildings on the Lewis Merthyr site were conserved the site developed into the Rhondda Heritage Park. 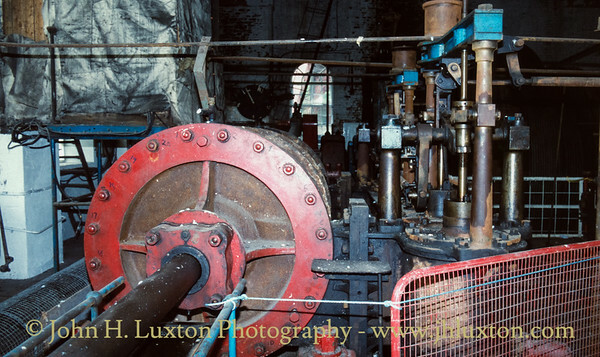 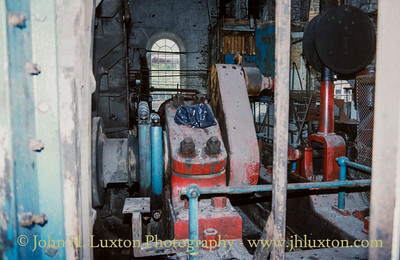 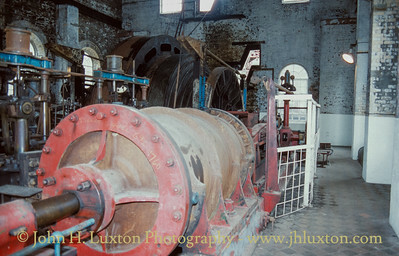 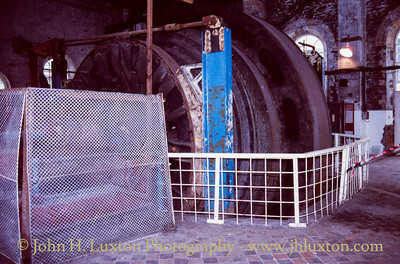 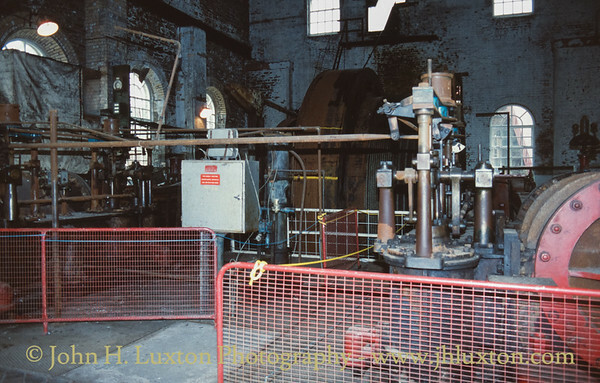 Trevor Shaft winding engine prior to restoration. 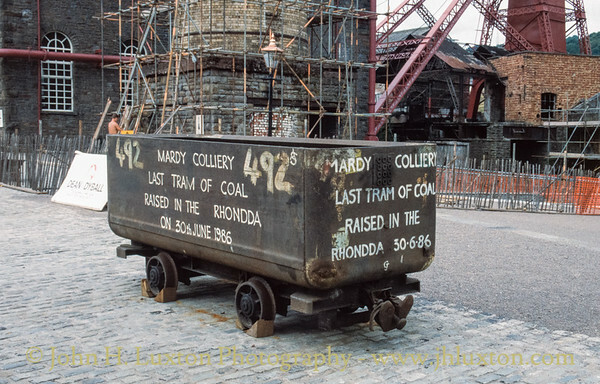 Mardy Colliery "Last Tram of Coal Raised in the Rhondda on 30th June 1986". 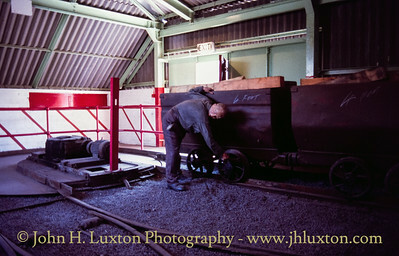 Last Dram of Coal Tymawr Colliery - June 24, 1983. 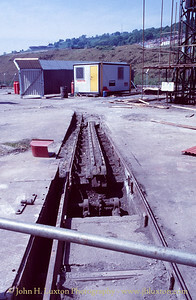 Tymawr and Lewis Merthyr were connected underground with coal winding being carried out at Tymawr. 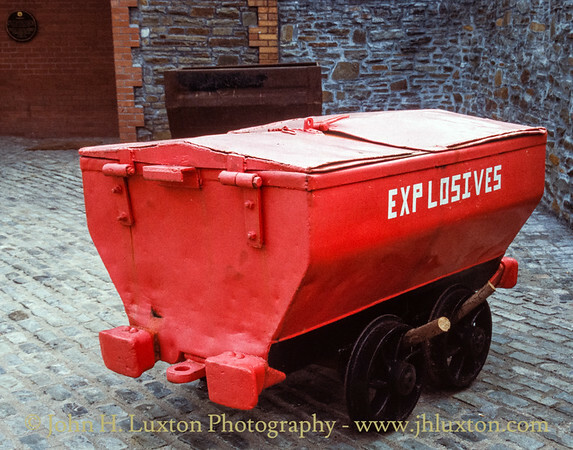 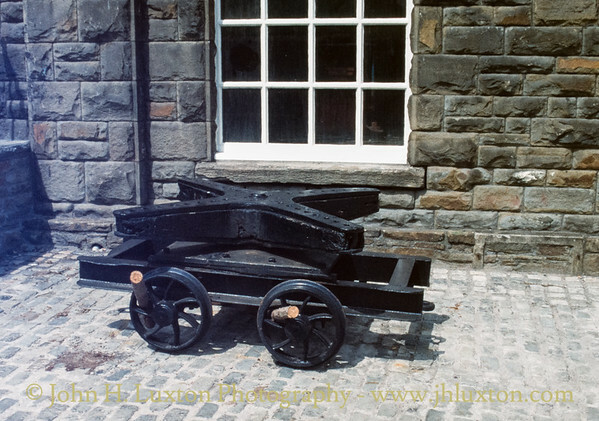 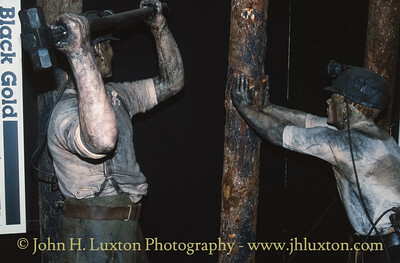 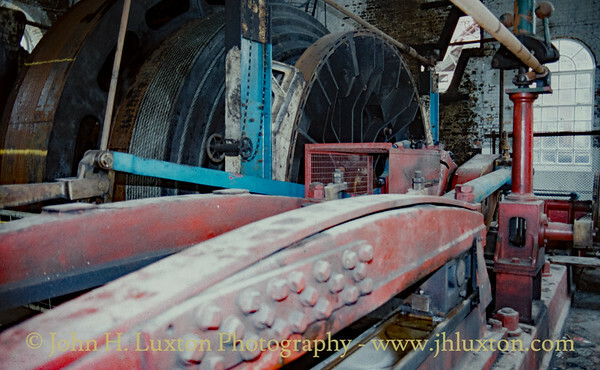 Photograph taken during the restoration of Lewis Merthyr Colliery as the Rhondda Heritage Park. 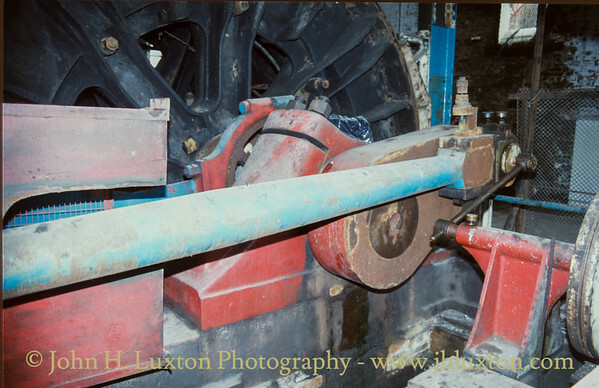 Bertie Shaft bank & tram handling equipment - reconstruction - as part of the Black Gold Tour.